Since its early beginnings in the 15th century, lace has been used to embellish, seduce and beguile. At that time, the fabric between the embroidered areas was removed, leaving behind only the white embroidery. Over the years, these delicate fabrics have changed many times. 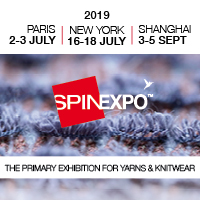 Modern yarns, high-tech machines and optimised finishing processes are now offering completely new design possibilities, thus opening up the potential for new applications and business fields. This sector is on the move – from lingerie to sportswear, from the shelves in women’s boutiques to the collections in menswear shops, from creating traditional decorative effects to making a functional fashion statement. KWP’s editor Ulrike Schlenker spoke to the innovations consultant and fashion expert Christel Aarts about where this journey is leading. Ulrike Schlenker: Digitisation is bringing about change in all areas of our social life, for example, communication via social media. Are there any mega trends that are having an influence on both our clothing but particularly on lace? Christel Aarts: In the past, fashion trends were set by designers and industry gatekeepers, such as buyers in the large retail chains and magazine editors. Digitisation and social media have re-distributed power in the industry towards the average consumer and social media influencers. The average consumer has instant access to every trend, can view catwalks in real-time from their couch, and purchase an outfit that a blogger posts directly from their phone. The industry is aware of this re-distribution of power, and access to the end consumer has become vital. As end consumers, we like to think that accessing all this information allows us to express ourselves in a more individualistic manner. However, I believe the reverse is true. Social media steer us towards the same imagery, fashion trends are more global rather than local, and we see more and more hypes. Digitisation has allowed for visualisation of the product. For clothing to be noticed, there are aspects such as colour/contrast and prints that have more visual impact on a screen. Lace, with its patterns, colours and textures, also has a strong visual impact, and is therefore perfectly suited to visualisation on the Internet. Reducing the cost of lace, thanks to new technology, has allowed customers with different budgets to embrace lace products, and continuous innovation will allow for lace to become a more mainstream product, which can be adapted to different product categories. US: Speaking of product categories: athleisure, swimtimates, the pyjama dress… everyone talks of a genre mix. Nevertheless, lace details only appeared sporadically in the pure sportswear collections presented at this year’s OutDoor exhibition in Friedrichshafen and ISPO in Munich. What level of performance does lace need to have in order to find its way into sportswear? CA: In recent years, we have seen a huge shift in the acceptance of lace in outerwear. While in the past, lace was mainly limited to couture, lingerie, bridal and nightwear, we have seen a revolution in the way lace is accepted as the main material in outerwear, as well as the acceptance of lingerie/nightwear style garments as outerwear garments. No doubt, this is influencing its acceptance in sportswear. However, for lace to become a breakthrough product in performance sportswear we would have to re-think the concept of lace. That would mean looking at how lace products could add additional value comparatively to the current materials available for sportswear, what properties the material should have, and finally how it should look. In particular, functional properties, which optimise the thermal physiology and comfort against the skin, should be considered. The freedom you have in lace design could be used, for example, to support movement through an optimal combination of stretch and compressive structures, allow for breathability and, in the near future, incorporate wearable electronics that monitor performance. From a design perspective, you might want to consider moving away from the typical floral execution towards a more graphic, logo-inspired execution. US: Is there a way to make lace attractive for men's clothing, for example by using graphic designs? CA: Lace is generally associated with fragile, refined, seductive and sensual characteristics, words that do not evoke a typical masculine association. However, if we look at long-term trends, we see that gender roles are becoming less defined and more overlapping. This will have an impact on how we dress and what we find acceptable. For women in the West, a more masculine, tougher dress code has long been accepted. For men, we have seen in the last 20 years a huge change in the acceptance of skincare and beauty products, as well as a general focus on appearance and the way men style themselves. As a result, a more feminine dress code for men is slowly becoming more acceptable. Formal dressing, such as wedding suits and shirts, might be a first thought, but the biggest opportunity could potentially lie in sportswear, if we can really re-think the concept of lace and change the way lace performs, feels on the skin, and looks visually. US: About the topic “re-think the concept of lace”: what would you as an innovations consultant want from a machine manufacturer? CA: From a design perspective I would like maximum flexibility and adaptability to different yarns, textures and patterning techniques, whilst of course maintaining technical standards and cost targets. From an innovation perspective, I would love to see machinery that is flexible, can deal with small quantities or even allow for custom-made designs, where the focus is on sustainability and quality rather than cost. Nottingham moves to rhythm of Victorian lace machines.